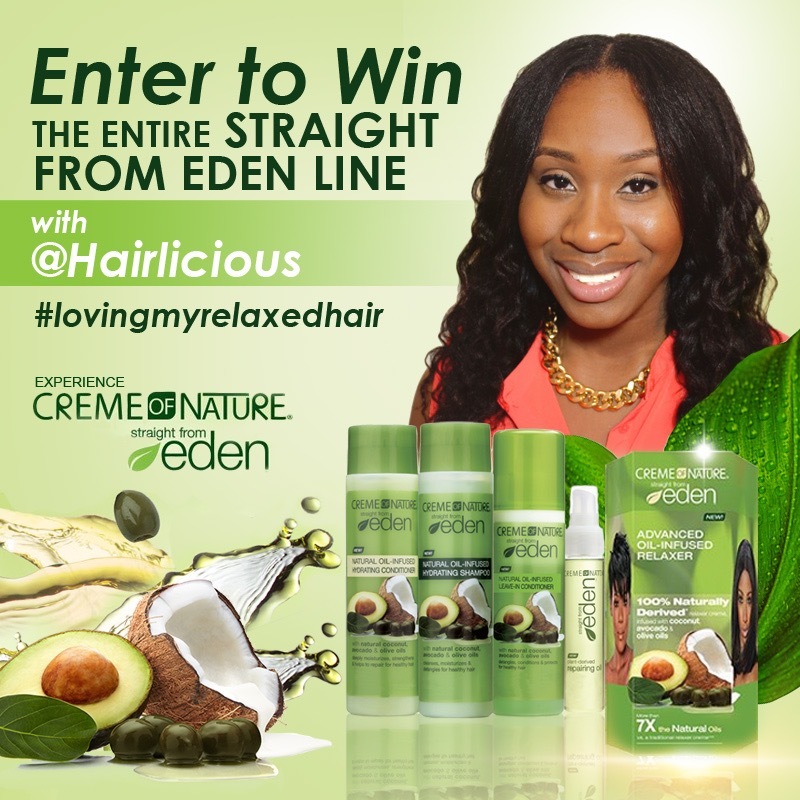 #LovingMyRelaxedHair Presents Straight From Eden Giveaway - Enter to Win Now! - Hairlicious Inc.
#LovingMyRelaxedHair Presents Straight From Eden Giveaway - Enter to Win Now! It's the end of the month!! Creme of Nature and I are hosting a 5 day giveaway (October 30th - November 3rd @ 11:59PM EST) to celebrate the #LovingMyRelaxedHair Series! Three (3) Lucky Winners Will Be Selected (by Random.org) & Announced On HairliciousInc.com & My Instagram Account!